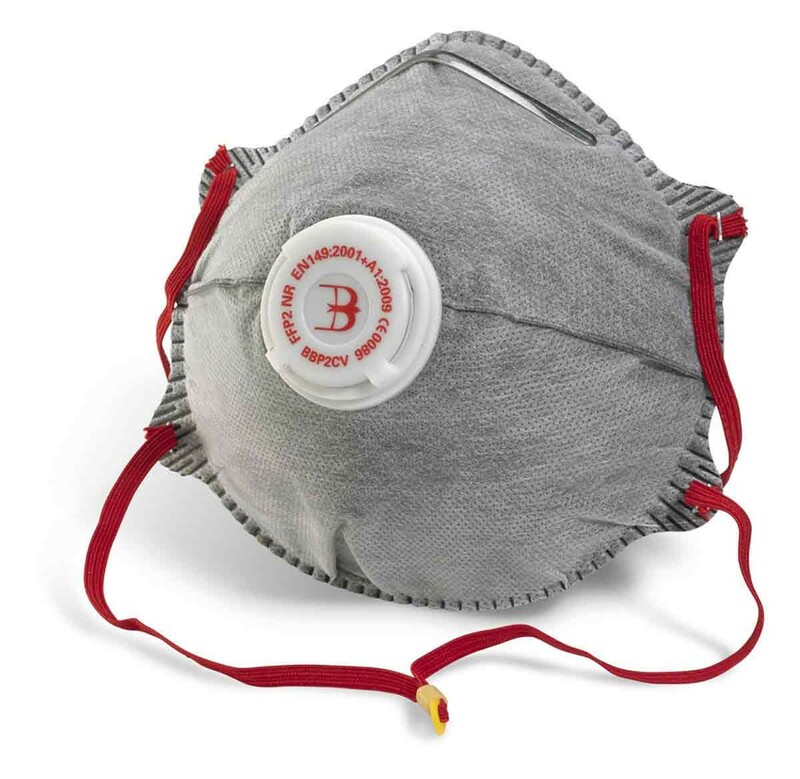 The BBP2CV P2 Charcoal mask is great quality at a great price and has the following features: Polypropylene (P.P) outer layer provides smooth lining and avoids loose fibres. Embossed fringe seal avoids fluffy open layers around the edges. Latex free synthetic rubber head strap. Contour design ensures the compatibility of glasses / goggles and reduces fogging. Soft close-cell nose foam and adjustable nosepiece ensure custom shape and increase the worker comfort and acceptance. Valved to reduce breathing resistance. Loaded with a high performance acid-resistant active carbon pre-filter to protect against nuisance organic vapour.